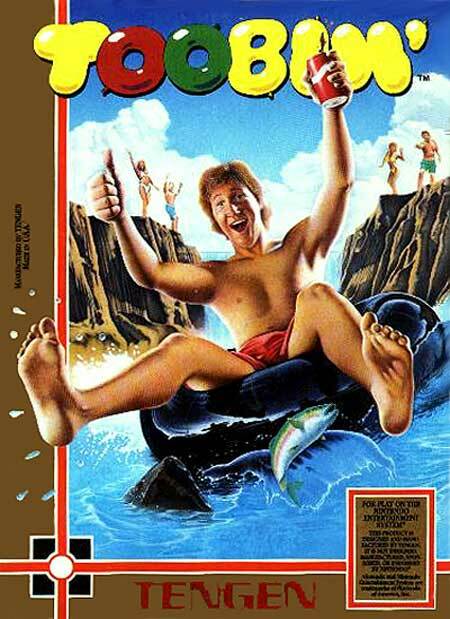 Toobin' involves Biff and Jet racing their way down the rapids of various rivers on inner tubes. Move your toob and drift as the current sends you, making sure to avoid the banks of the river and the dividing lines in the middle. Other hazards include crocodiles, stray logs and branches, and fishermen - you are armed with a limited supply of tin cans to take care of these. There are gates to slide through on the way down - these give you a points bonus.